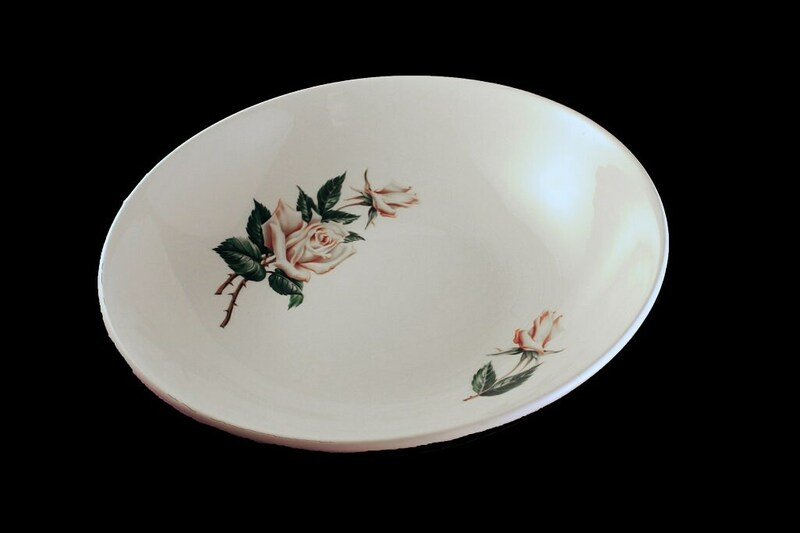 A lovely vegetable bowl by Universal Pottery in the White Rose pattern. It was made in the USA. The shape is called Ballerina. 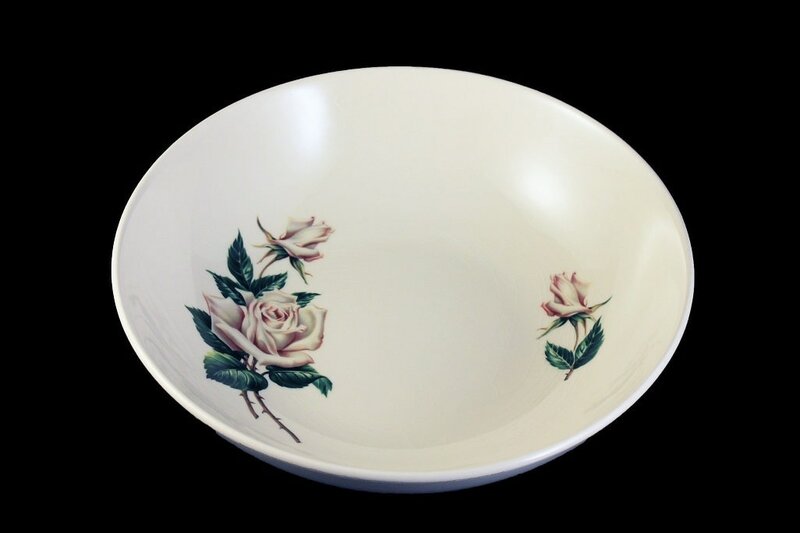 This bowl would be a great replacement piece or the start of a new set. 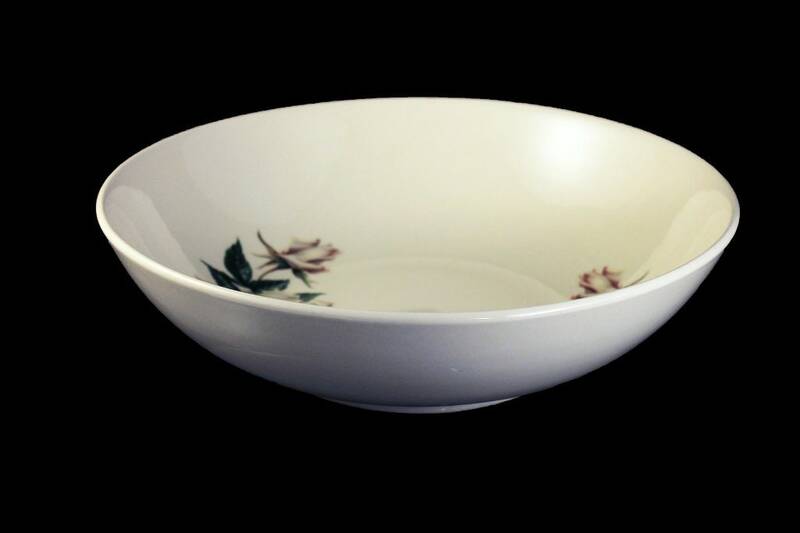 The bowl would look wonderful on a table, buffet, or sideboard. 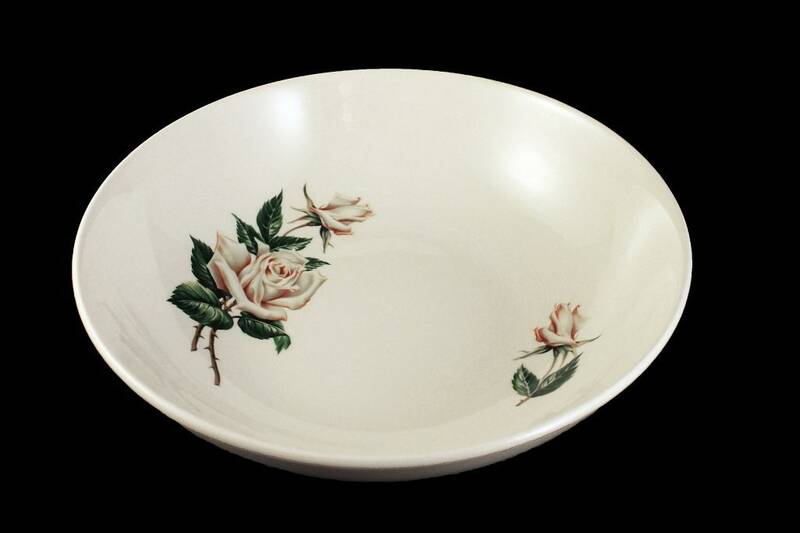 This bowl is in very good condition. There are no cracks or chips. It does have some light crazing and utensil marks from years of being used. PLEASE READ OUR ITEM DESCRIPTIONS FOR FULL DETAILS OF THE DISHES! 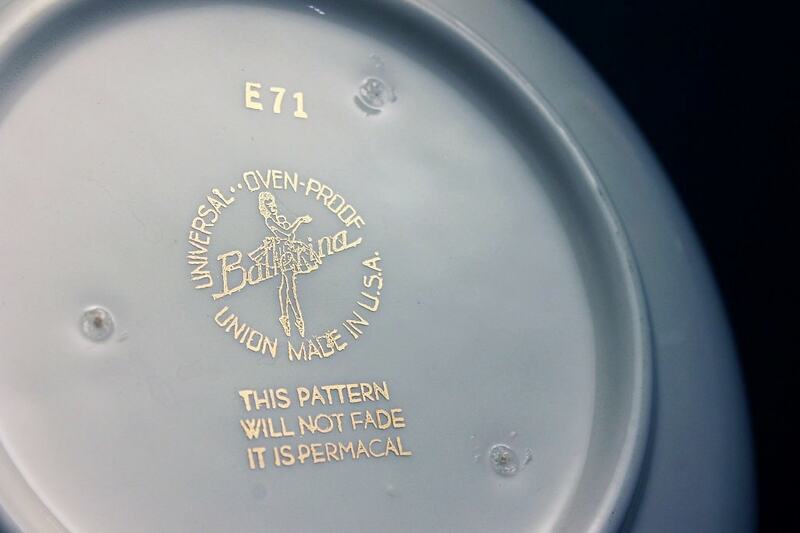 GREAT: Item shows signs of wear due to everyday use. Larger utensil marks or small flea bit chips. VERY GOOD: Item may have larger signs of wear from everyday use. 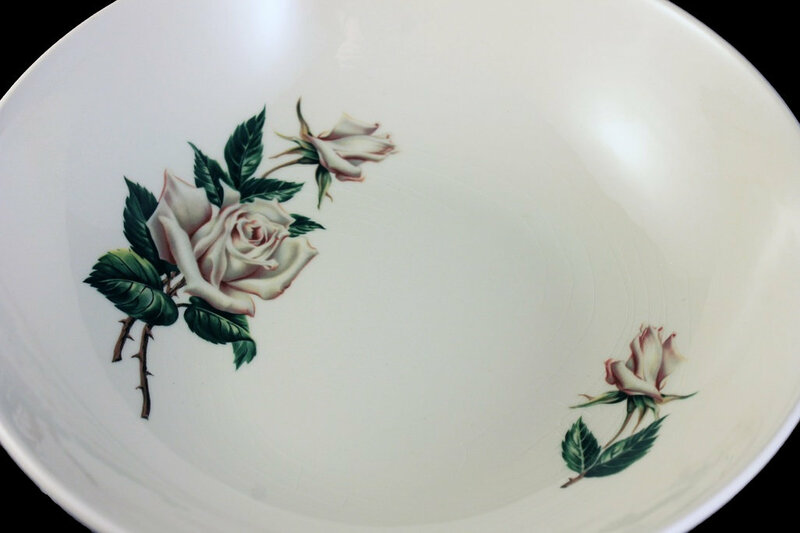 Such as minor scratches, scuffing, crazing or flea bite chips. GOOD: Item will show its years of use and love. There will be flaws such as chips, small cracks, more pronounced crazing etc. Price will reflect these defects. The item will show a larger amount of wear.